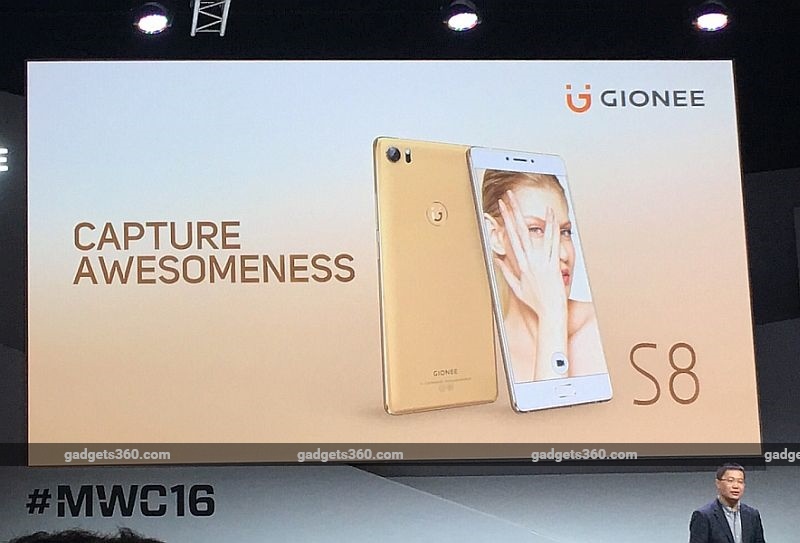 The Gionee S8 has been priced at EUR 449 (approximately Rs. 34,000) and will go on sale by end of March in Rose Gold, Silver, and Gold colours. The smartphone features 3D Touch (yes, the same name Apple uses) pressure sensitive display, one of the biggest highlights of the smartphone, and is expected to work same as the new iPhone models. The company says that the smartphone can sense 3 levels of force including touch to select an app, tap to preview the content of an app, and press to run the app. Another notable feature is a loop metal design. 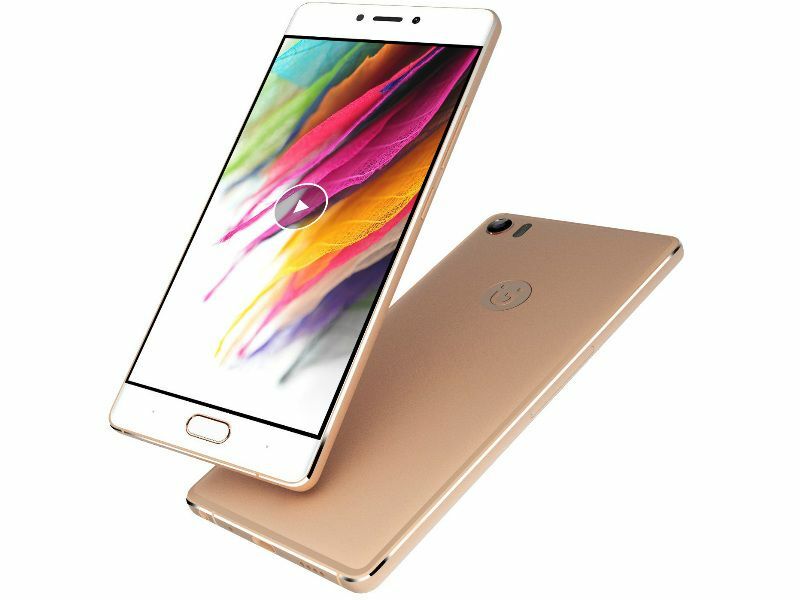 The smartphone features a 5.5-inch full-HD Amoled display with narrow bezels measuring 0.75mm. It is 74.9mm wide, and the Chinese company says that is one of the narrowest widths for a 5.5-inch phone. Gionee adds that the display thickness in the S8 smartphone is just 0.693mm display thickness. At the launch, the company touted that the S8 features floating windows. The smartphone supports 4G+ connectivity and dual-SIM (Micro-SIMs) functionality. Gionee at the launch said that the smartphone comes with ‘Dual WhatsApp’ and ‘Dual WeChat’ features, which means you can have two instances of WhatsApp open at once, associated with different accounts. The S8 runs Amigo 3.2 OS based on Android 6.0 Marshmallow, the smartphone packs 64GB of inbuilt storage. It sports a 5.5-inch full-HD (1080×1920 pixels) Amoled display. Under the hood, the Gionee S8 is powered by an octa-core MediaTek Helio P10 processor clubbed with 4GB of RAM. On the camera front, the smartphone sports a 16-megapixel rear camera with f/1.8 aperture, PDAF, laser autofocus, and LED flash. The company claimed that the camera app on the S8 has been redesigned and comes with features such as text recognition (OCR) support (English and Chinese); video also comes with beauty effects; time lapse, and Slow mo. There is an 8-megapixel front camera on board as well. The Gionee S8 packs 3000mAh battery. It supports dual 4G, FDD, and TDD, 7 modes and 14 bands which the company said will make it ideal for globally roaming. It measures 154.3×74.9x7mm and weighs 148 grams. Notably, the company has also integrated a fingerprint sensor in the home button.